What do you get the person who seemingly has everything? 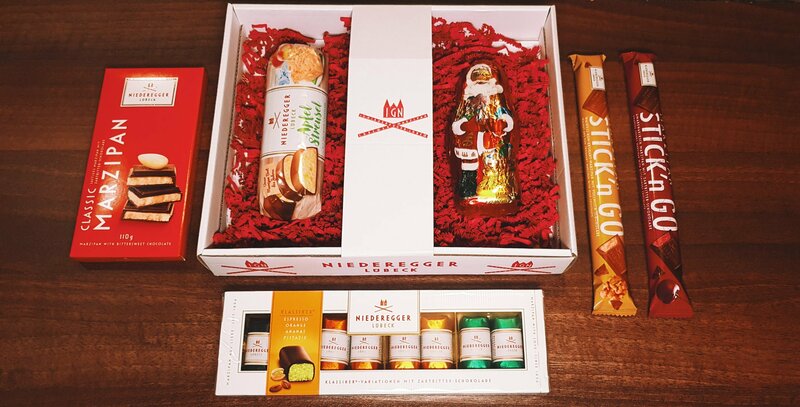 A Prestige Hampers luxury Christmas hamper! Nothing puts a smile on someone’s face like a festive gift. Above all, one brimming with snacks, confectionery, condiments and wine. 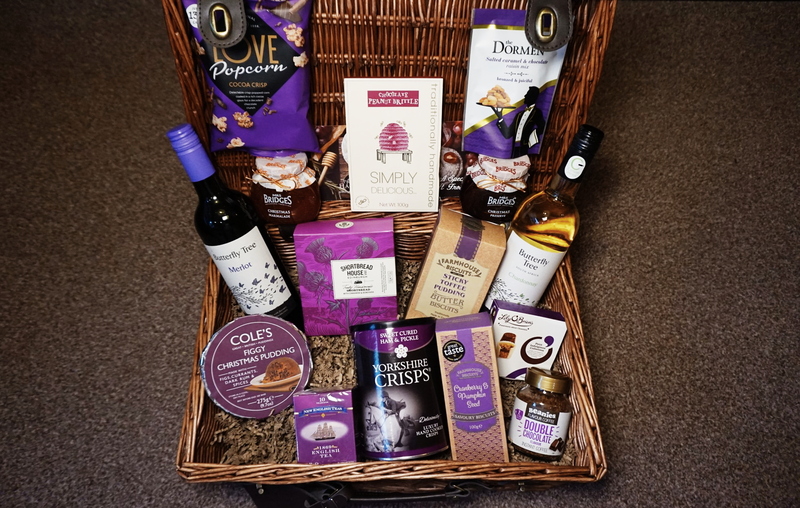 This hamper offers the perfect combination of savoury and sweet. First of all, open up your large handmade wicker basket and inside discover an oh so delicious selection. Enjoy Christmas breakfast with festive preserve or marmalade. Scrumptious toppings embellished with mulled wine and orange and cranberry. Sample these with a mug of indulgent double chocolate coffee or another cup of English tea. 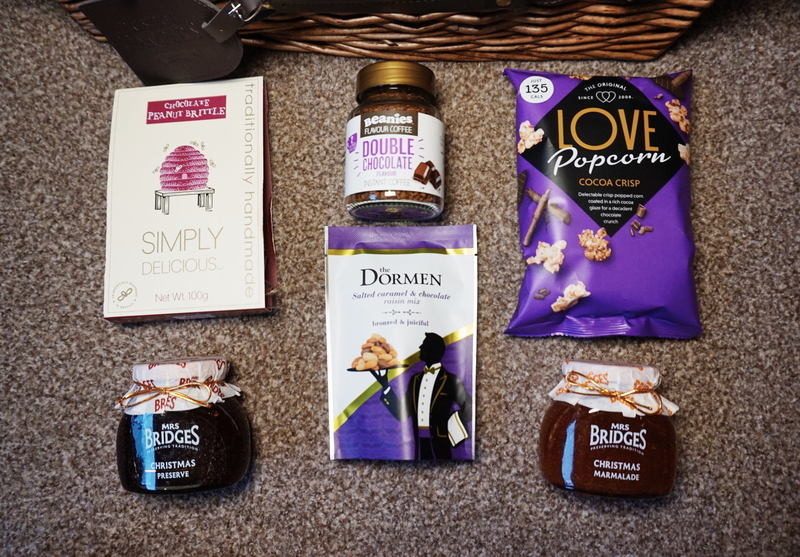 So, what did I think of the Prestige Hampers luxury Christmas hamper? As the smell of Christmas dinner wafts, you can devour an array of treats. 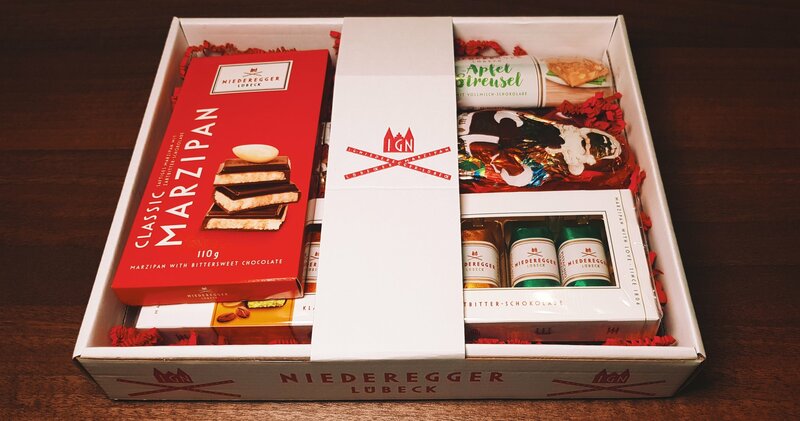 These include chocolate coated peanut brittle, cranberry and pumpkin bites and chocolate covered raisins, caramelised and salted nuts. Afterwards, compliment an impeccable Christmas dinner with a moreish Christmas pudding. Finally, pair the Queen’s speech with a glass or Chardonnay or Merlot. With the inclusion of two bottles, you are guaranteed a very merry Christmas. Especially while sampling a mini box of indulgent chocolates. Although, there’s plenty more to sink your teeth into. 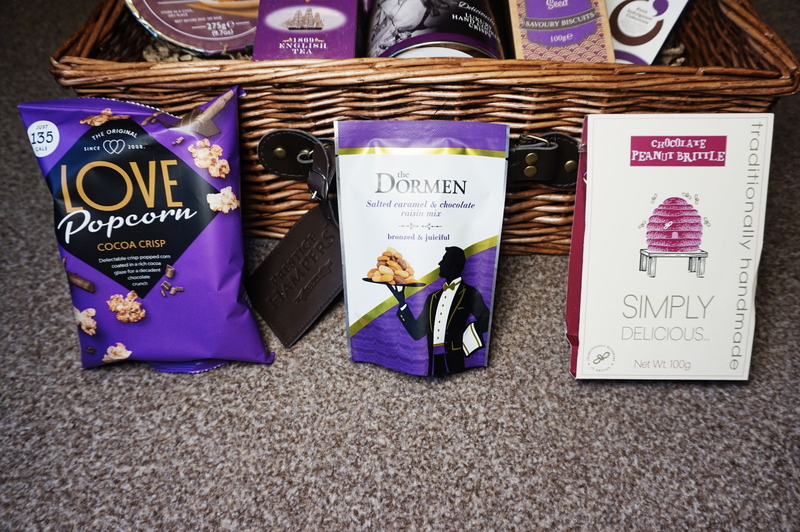 Snacks include cinnamon and demerara shortbread, Yorkshire cured ham and pickle crisps, cocoa crisp popcorn and delectable sticky toffee pudding biscuits. Of course, if you can not manage the entire hamper on Christmas day, there is always Boxing Day and New Year’s Eve to indulge! 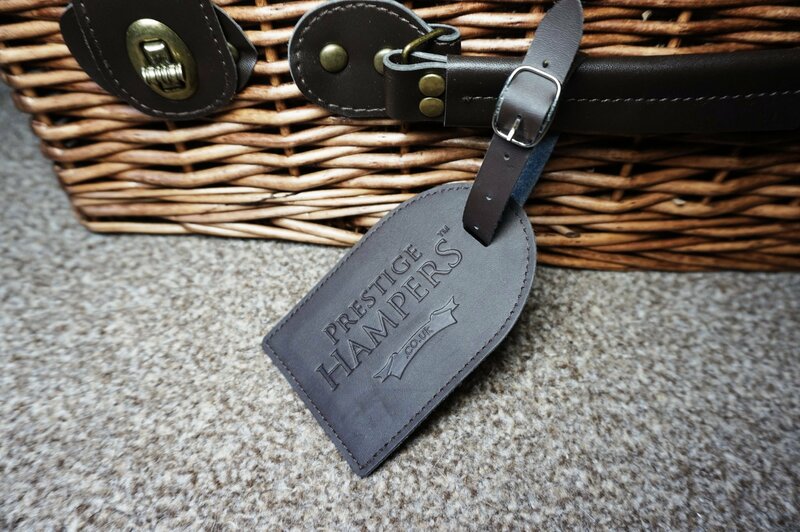 It’s simple, a Prestige Hampers luxury Christmas hamper will not fail to impress this festive season. 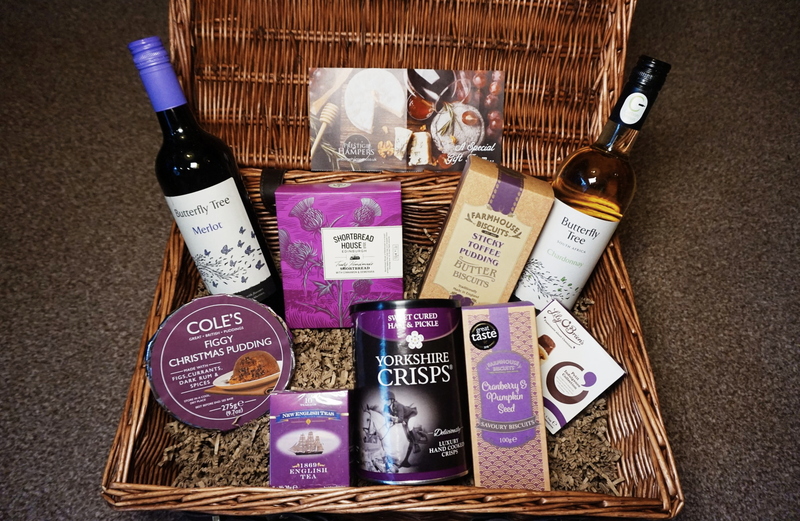 Utterly decadent and beautifully presented, you can purchase an Elegant Christmas hamper here. 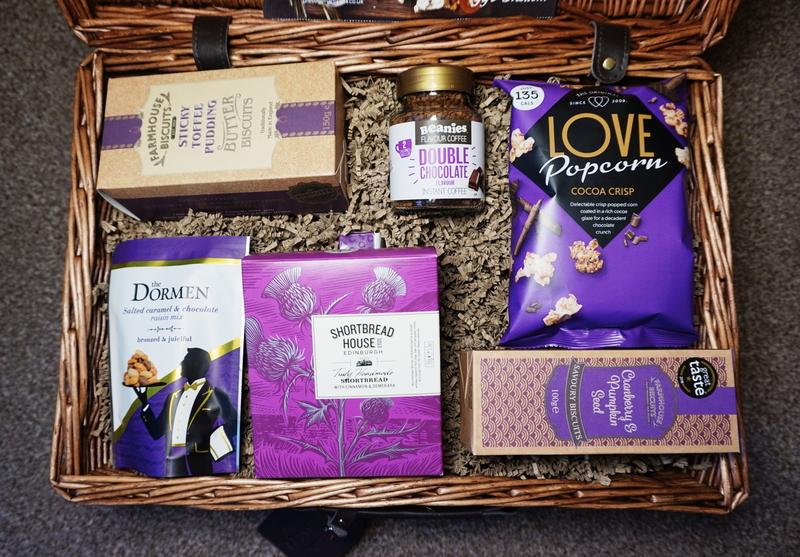 What would be your first pick in this luxury Christmas hamper? 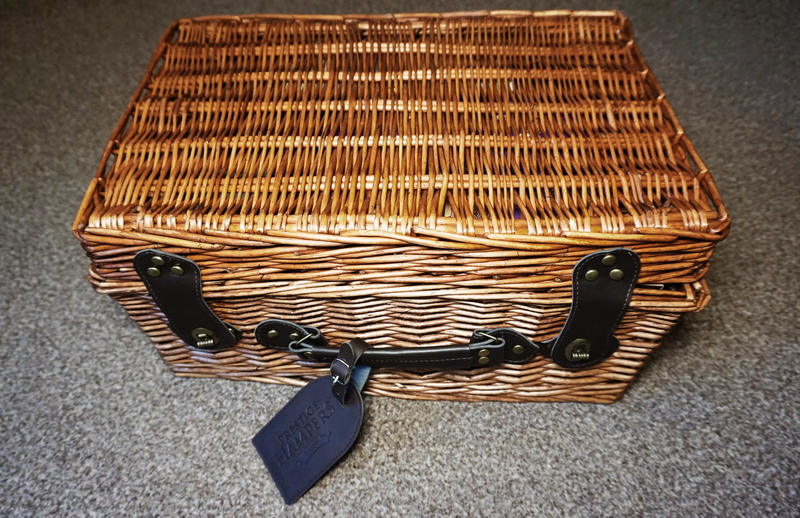 Have you ever received a Christmas hamper before? 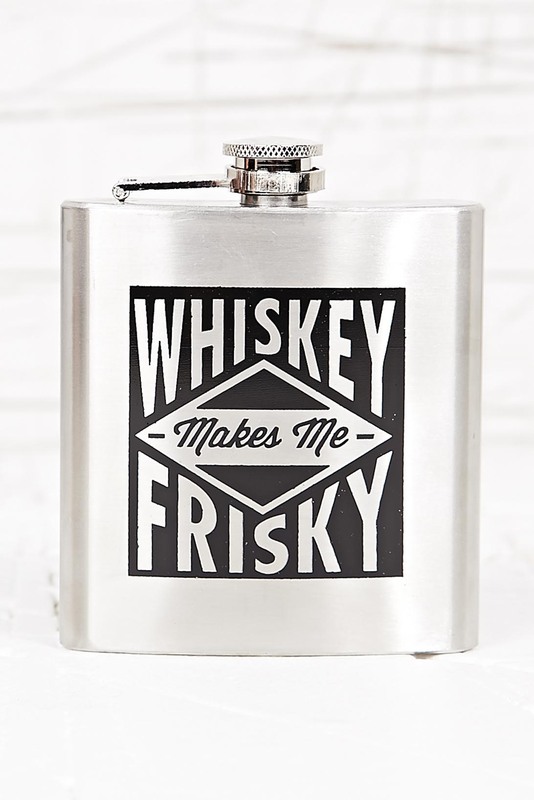 So, this may be a bit of a strange post but browsing the Urban Outfitters website I found the most wonderful selection of stainless steel hip flasks for girls and boys alike. If you are looking for a good (and not so conventional) gift for Christmas then look no further! 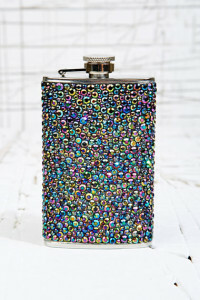 The Moonstone Rain Hip Flask is just adorable, both colourful and fun with its multi-coloured stone embellishment. 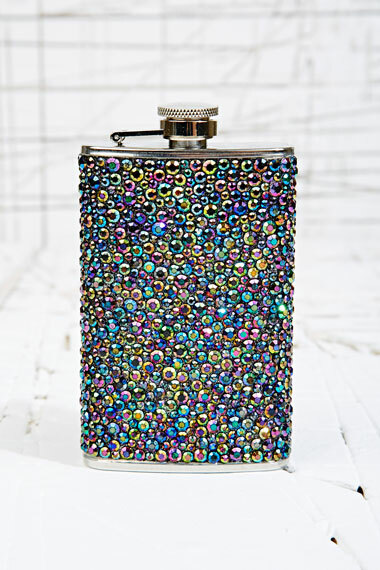 I never really thought of a hip flask as an accessory for an outfit but this is certain to bring out some sparkle with its adornments. I love the beautiful teal colour and italicised graphic slogan ‘Girls With Class Don’t Need A Glass’ upon the Girls Class Hip Flask. Although slightly ironic, it is lovely. 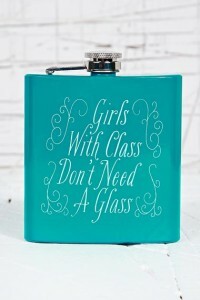 Perfect for sneaking in your clutch during an extortionate festive night out. 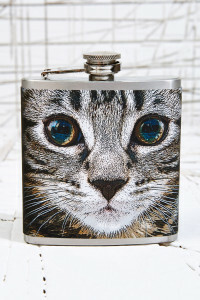 The Tabby Cat Hip Flask is utterly adorable, especially for any cat lovers that you know out there. 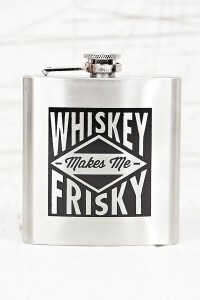 This hip flask is beyond cute and I honestly don’t see how anyone could not adore it! Unless you dislike cats of course, but that in itself is just madness. 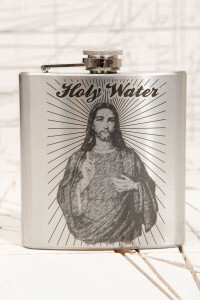 The Holy Water Hip Flask may appear a tad blasphemous (okay, very blasphemous) considering it is the festive season and all. However, I guess the wording is accurate for those who like to sneakily secure our favourite drinks, I highly doubt anyone will use it to contain water though. There is a Christmas present sorted! Each of these flasks hold 180ml of your desired liquid and there is loads more available online priced between £12 and £20. Which is your favourite? What do you think of a hip flask as a Christmas present? Who can resist Lush at Christmas? The bright wrapping paper, the array of content and the delicious scents filling the air of your bathroom – and lets face it, the entire house. Actually, who can ever resist Lush products? I found the Lush Seasons Tweetings* box at my door this festive season containing an amazing variety of skin-loving treats to aid you against the chill. The box includes the Twilight shower gel, Ro’s Argan body conditioner, Tiny Hands solid hand cream and Snowcake star soap. So, what did I think of the Lush Season’s Tweetings gift box? This is my absolute favourite of the Christmas limited edition shower gels. It smells absolutely amazing and is a ridiculously unique fragrance. It is a very sweet lavender smell. I often associate the smell of lavender as a harshly lasting and a rather dull fragrance. However, this shower gel has taken that smell and added a load of sugary goodness and some wonderful silver shimmer too! It really does get me off to sleep after a long day at university and leaves you feeling wonderfully calm and relaxed. I had previously done a review of this wonderfully scented product here. Tiny Hands is a solid hand cream bar shaped as a delicate little palm. It is a very creamy bar and although small proves to be a very hard worker indeed as it nourishes your hands, soothing and repairing the skin. It leaves my hands feeling fabulously smooth and fresh with its beautiful floral fragrance of chamomile, marigold and lime flower oils. Leaving you, and your hands, feeling wonderfully relaxed! The addition of cocoa and fair trade shea butter provide a gorgeous feel for that additional moisturisation. I find it goes on quite oily but give it a few minutes and the product sinks in a treat! I prefer an oilier product on my hands anyway, and I find this perfect for my winter damaged skin! This rose oil scented body moisturiser is just delicious. Packed full of nourishing oils and butters, the ingredients include argan oil, brazil nut oil, almond oil, fair trade shea butter, cocoa butter, cupuaçu butter and oji berry juice! The smell of the rose will leave you feeling luxurious while the ingredients work their magic softening the skin. All you have to do is smooth it all over and rinse off! This beautiful festive soap comes shaped as a glittering gold star smelling of sweet Christmas treats with its marzipan and fruit fragrance, it works a treat also! This soap cleanses and nourishes the skin and lathers up wonderfully, leaving the beautiful rapeseed and coconut oil to treat the skin. This box is a festive exclusive! Fear not though, Lush gift boxes are available all year round with a variety of amazing products. What do you think of Season’s Tweetings? What beauty products did you get this Christmas?